If you are into construction business and are looking for newer ways of expanding your business, then you can PSD download construction estimate template online. Construction is a big business and you can always put in your features with the project, its main look and idea behind the construction. 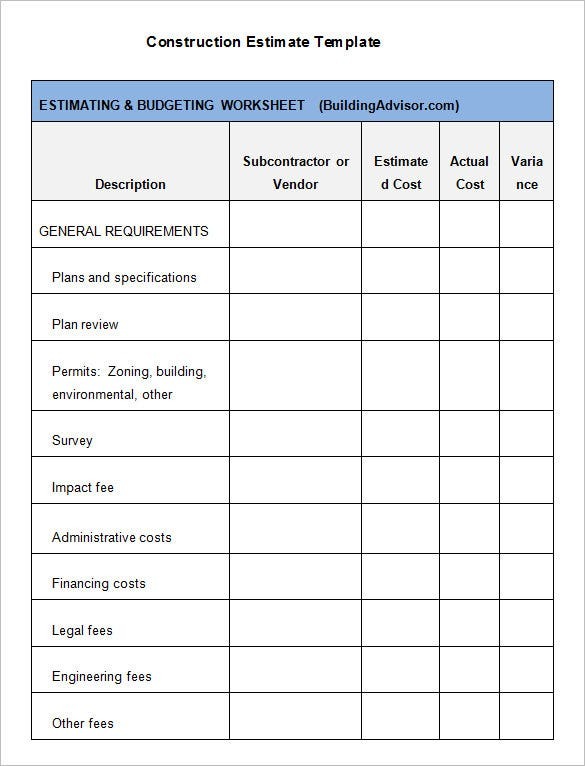 Total budget of your construction can be put into a spreadsheet and then free construction estimate template, Sample Estimate Templates will be available online. 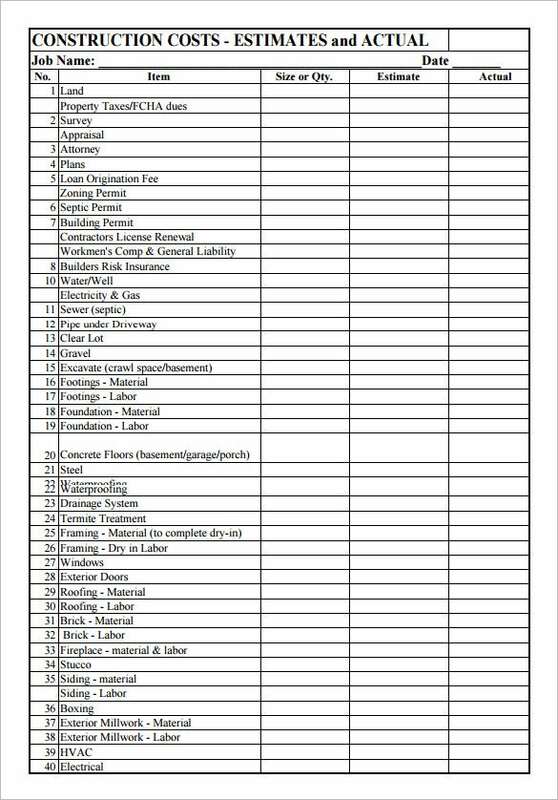 The template will be helpful to create an elaborate estimating and budgeting worksheet as it includes pre-defined sections for all the relevant parameters such as description, vendor, estimated cost, actual cost etc. 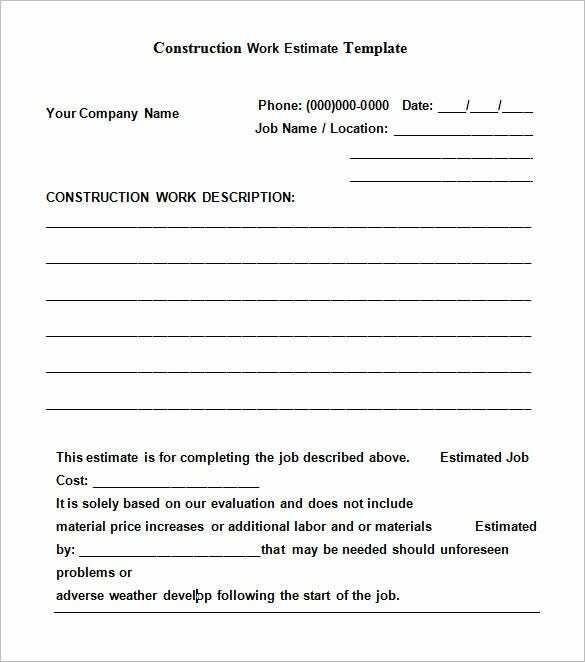 This template shows how a basic construction estimate should be. The template has taken a simplistic route, including the bare essentials like construction work description, estimated job cost & so on. You may also see Sample Project Estimate Templates. 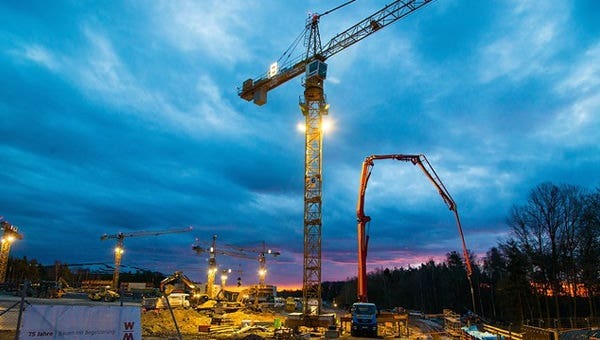 Here comes a full-fledged construction estimate template for you with a coverage on all the important sections of a standard estimate such as building permit, warranty insurance etc. & also offers space for extra items. You may also see Job Estimate Templates. 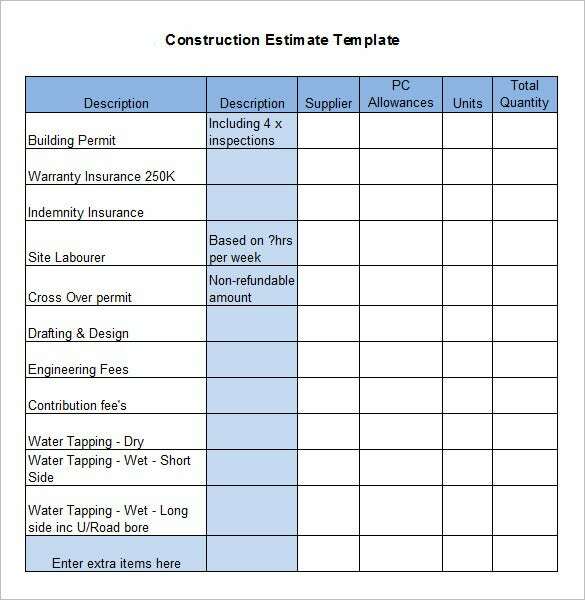 If you need advice on how to draft a proper construction estimate, this template here would be really handy with its comprehensive format, packed with all the needed categories like description, PC/PS allowance etc. You may also see Estimate Template Formats. You are getting a detailed construction estimate format here with all the needed readymade categories which come with adjoining blank space to e filled by your specific data. It’s quite a time saver. You may also see Estimate Templates in Word. You have to have some kind of full proof idea and approximate knowledge of the project to put in the template. The template is an eye candy for whoever is in the construction business. 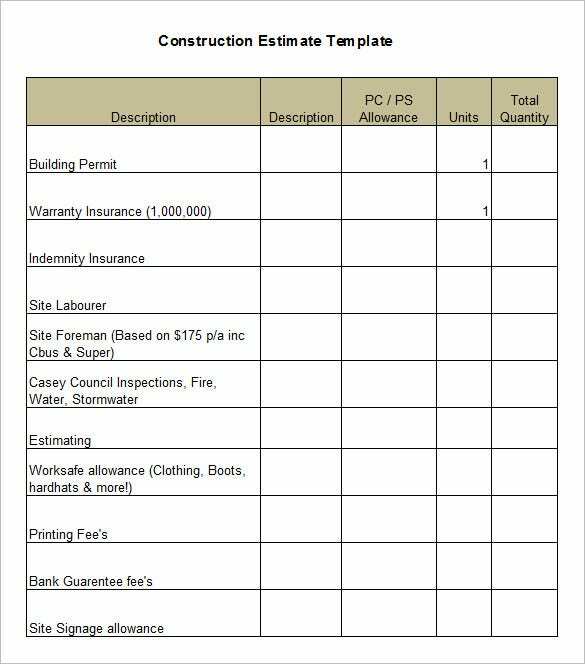 You may also see Contractor Estimate Templates.